Prince Philip was in a car accident on Thursday. The Duke of Edinburgh and his driving are back in the British headlines again. Several Sunday papers have splashed photographs of the Queen's 97-year-old husband back behind the wheel of a brand-new Land Rover. 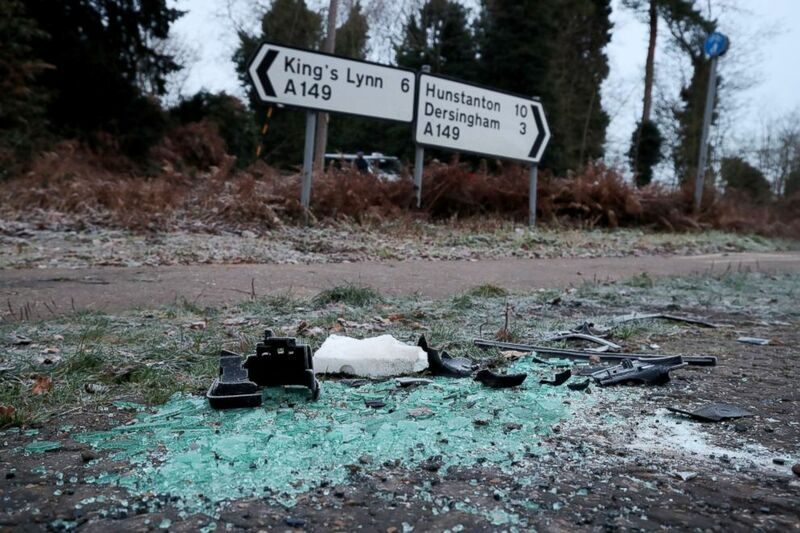 The photos appeared just two days after he was part of a car crash involving two women and a 9-month-old baby near the royal Sandringham estate in Norfolk. Both of the women involved in the crash, who suffered minor injuries, as well as the Duke of Edinburgh, were treated at a nearby hospital in East Anglia. The women were discharged the same day, and Prince Philip was seen for a check-up on Friday, though no injuries were reported. Prince Philip was photographed near the Queen's Sandringham estate again on Saturday, appearing to not only be driving alone on a public road, but also driving without a seat belt -- an offense punishable by fine in the U.K.
(Chris Radburn/Reuters) Debris is seen at the scene where Britain's Prince Philip was involved in a traffic accident, near the Sandringham estate in Britain, Jan. 18, 2019. "We are aware of the photographs. Suitable words have been given to the driver in line with our standard response when being made aware of or receiving such images showing this type of offence," the police said in a statement. Meanwhile, one of the female passengers injured in the accident, Emma Fairweather, told the Sunday Mirror that she was unhappy with the royal palace's response to the incident. "Instead I got a call from a police family liaison officer. The message he passed on didn't even make sense. He said, 'The Queen and Prince Philip would like to be remembered to you,'" Fairweather said. 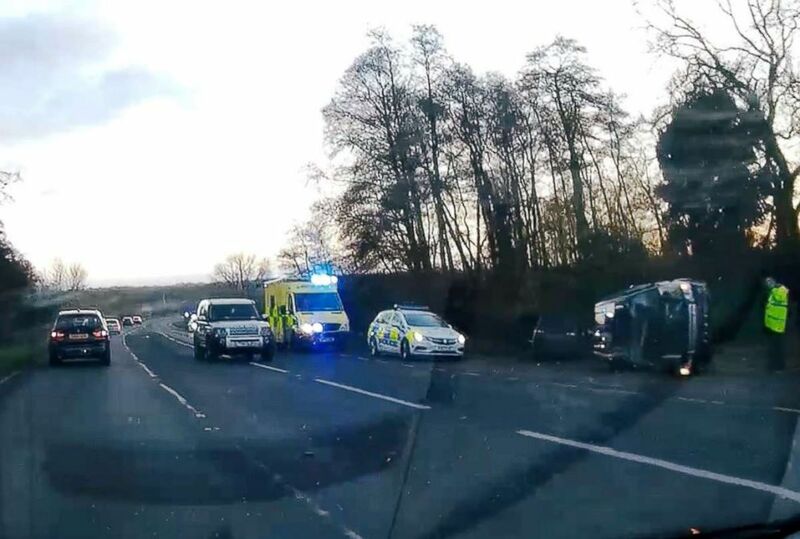 (Dylan Bailey via Reuters) A view of the scene of car crash involving Prince Philip on A149 in Sandringham, Norfolk, Britain, Jan. 17, 2019, in this image obtained from a social media video. "I love the royals, but I've been ignored and rejected and I'm in a lot of pain," Fairweather added. "It would mean the world to me if Prince Philip said sorry, but I have no idea if he's sorry at all." In response to the story, a Buckingham Palace spokesperson told ABC News that a "full message of support was sent to both the driver and the passenger." 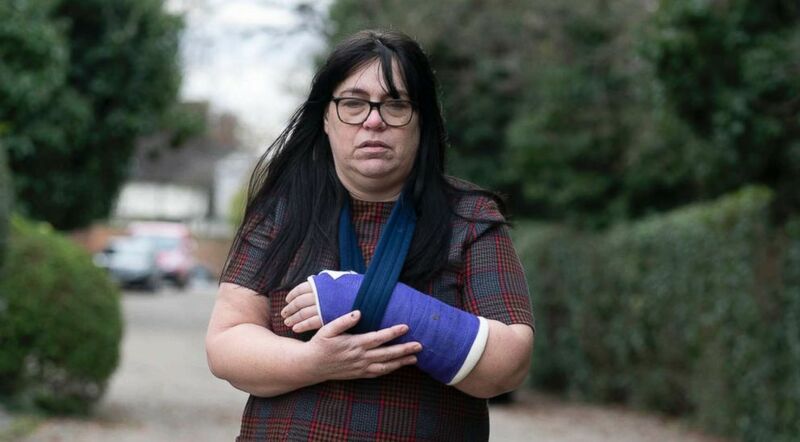 (Mirrorpix) Emma Fairweather, 46, was a passenger in a car involved in a collision, Jan. 17, 2019. with a car driven by Prince Philip. The palace declined to comment on the Duke of Edinburgh's contact with the police for not wearing a seat belt. Since Thursday's accident questions have been raised as to whether the 97-year-old prince should continue to be driving himself on public roads. Robert Jobson, royal correspondent with the UK's Evening Standard newspaper, explained to ABC News that the prince has a fiercely independent nature. "You can understand to a degree why he wants to just be on his own to have the freedom and independence that offers him," he said.